This book is the definitive guide to cross-border financial planning. If you are a Canadian living in the US or if you are an American citizen returning to the US, this book can save you time, money and headaches. This thorough financial, tax, and legal guide will help snowbirds understand the process, and make informed investments south of the border. This book will help you realize a lifestyle choice that involves a climate with year-round golfing and sandy beaches is not only possible, but can also save you money in the form of lower cost of living and lower income taxes. Taxation of Canadians in America: Are you at risk? Taxation of Canadians in America is the only book written exclusively on the unique tax issues Canadians face when living in the US. For everyone concerned with preventing family conflict over their estates, this is the first book to give precise instructions that ensure that each heir receives an equitable and thoughtful legacy–while the IRS and lawyers get the minimum amount. This practical and step-by-step guide leads readers through the maze of legal documents, forms, letters, and notices to be filed and the procedures that must be followed to fulfill all obligations when settling an estate. The author of Everyone’s Money Book writes personal-finance columns for Newsweek, Woman’s Day and 250 newspapers nationwide. Now she provides a clear, user-friendly financial planner to help readers make financial choices. This remarkable book combines myth and psychology, the poetry of the Sufis and the wisdom of King Solomon, along with Needleman’s searching of his own soul and his culture to explain how money can become a unique means of self-knowledge. You’ve built a successful business, or earned a lot of money and invested it wisely, or skillfully managed the family business you inherited. Now it’s time to figure out what to do with it all, as taking it with you isn’t an option. The T.A.S.K. gives you the wisdom of 46 experts from all areas of tax, estate, legal, and financial consulting — with over 1,000 years of collective experience. This visually appealing, user-friendly guide initiates the reader into the world of money and the financial markets. The authors set forth a step-by-step regimen that involves accounting for every penny you spend, avoiding every expense you can, and stashing all your savings in Treasury bonds until you’re able to live off the interest. No one can foretell the future. Or can they? There are many who purport to–and they are making a fortune. America’s leading HMO reporter provides a tool kit for knowledgeably choosing the right HMO or health plan and getting the most out of it. The average household spends 16% of its budget on insurance, yet consumers know very little about their coverage. 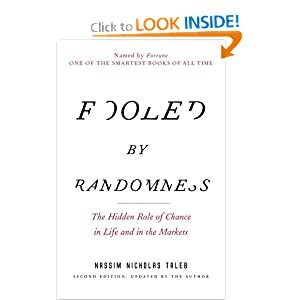 A comprehensive history of man’s efforts to understand risk and probability, beginning with early gamblers in ancient Greece, continuing through the 17th-century French mathematicians Pascal and Fermat and up to modern chaos theory. When the 1974 recession hit Wall Street, investment professionals desperately turned to academia to help regain the value of their clients’ holdings. 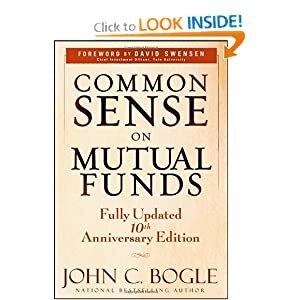 Bogle–founder of the Vanguard Group–makes a strong case for index funds with this exhaustive study of investing. 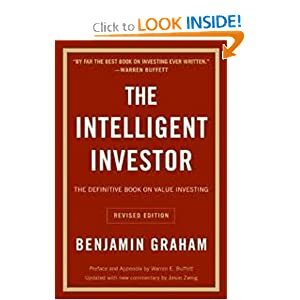 This classic investment book, first published in 1958, fascinates investors because it enables them to discern the origins of some of today’s most popular investment philosophies. Would a company with serious financial problems want to broadcast that fact in its corporate report? Of course not! A noted authority uncovers the gimmicks used to hide ailing finances. 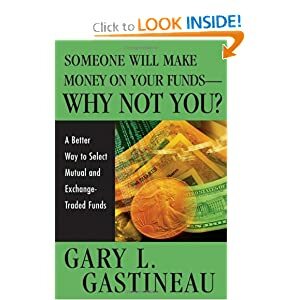 Completely updated to include late-breaking information on changing global markets, this book introduces readers to the most exciting money-making opportunity of the 21st century. For years, individual and institutional investors have relied on “The Handbook” to help them understand the dynamics and opportunities within the fixed income market. 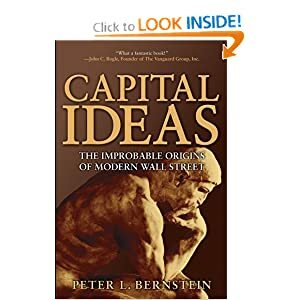 This book outlines the stock market, the bond market, asset allocation, index funds, variable annuities, tax considerations, and the role of computers. 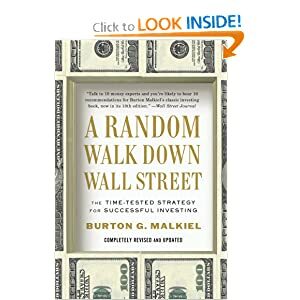 First published in 1973, this seventh printing of a A Random Walk looks forward and does so broadly, examining a new range of investment choices facing the turn-of-the-century investor. With research dating back to 1802, Stocks for the Long Run convincingly argues that stocks out perform all other investments over the long-term. For 50 years, this universally acclaimed classic has remained the bible on technical stock analysis. 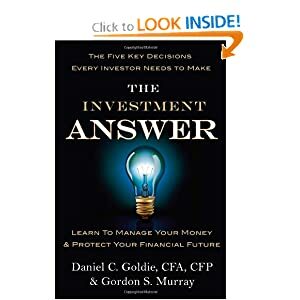 This step-by-step, jargon-free guide to investing with index mutual funds is coauthored by the bestselling author of “A Random Walk Down Wall Street”. 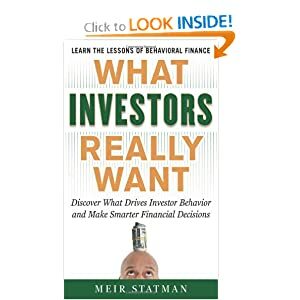 A revised edition of the best-selling investment guide takes account of both the defensive and the enterprising investor. A unique collection of essays that addresses the heart of every investors and analysts dilemma: how to make decisions in the face of unknown forces and how to assert some control over the outcome. The parallels between the now-ubiquitous Internet and the telegraph are amazing, offering insight into the ways new technologies can change the very fabric of society within a single generation. This book covers them all: Pathological science, junk science, pseudoscience, and fraudulent science. The authors describe the burgeoning new era of research to reveal why people spend, invest, save, borrow, and waste money. 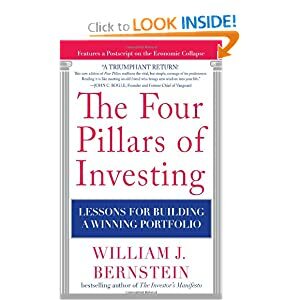 This indispensable investment guide asks the question: How can an individual invest successfully when the majority always fails? by Mitch Anthony – 3rd edition – The New Retirementality outlines a cleverly named concept that should be of interest to anyone uneasy with the traditional requirement that Americans totally drop one portion of their lives…. 24th Edition – The top tax guide from America’s leading tax and accounting firm. The Five Key Decision Every Investor Needs to Make. 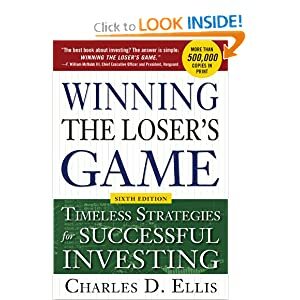 Timeless Strategies for Successful Investing. Someone Will Make Money on Your Funds, Why Not You? Who Should Hedge Tail Risk?